Are you ready for Austin City Limits Festival? Well, we certainly are, and we’re working with the fine folks at the festival to guarantee that you’re filled in on all the great sights and sounds coming our way. 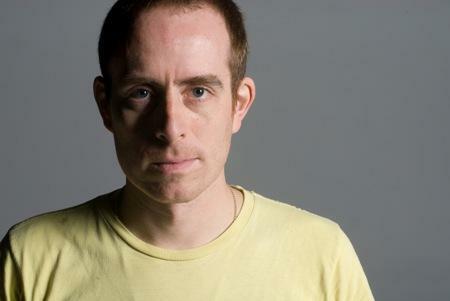 We’re bringing you an introduction, to those who don’t know him, to Ted Leo, one of my personal favorites, and admittedly, my man-crush of many years. I’ve seen him solo, in the club and at a festival, and he never fails to win me over. So, I’ve decided to rank his 5 albums, excluding his work with Chisel, so if you’re a newcomer, you’ll know where to start, and if you’re not, then you can throw out your two cents to make your case. Be sure to follow ACL Festival for more updates on great bands, and we’ll do our part to keep you updated as well. We first caught a glimpse of the power behind Screaming Females when they opened up for Ted Leo. They wowed us then, and they are here to wow you as well. 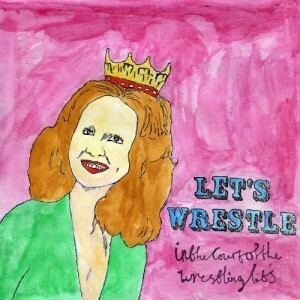 The band has a new album titled Castle Talk coming out on September 14th, and its going to be killer. One listen to single “I Don’t Mind It” and you can see why they’ve been winning fans all over with their classic alternative rock sounds. Get ready for this band to win your heart. This guy just won’t quit! David Vandervelde always writing songs, and we’re always falling in love with them. He’s prepping a new 12″ release, Summer Time Hits, that is set to come out on August 3 via Secretly Canadian, and we’ve got one of those new songs for you to check out. This tune has a touch of glam rock, and there’s a little bit of a falsetto in his voice, similar to the high pitched yelps of Ted Leo. It’s a lot more rocking than his last effort, but when did the rock ever bother us here at ATH? Precisely, it doesn’t, and it shouldn’t bother you, so get with it. 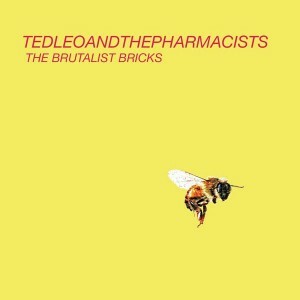 In case you didn’t know how much we loved Ted Leo, you haven’t read our latest review of his album The Brutalist Bricks! So many people love Ted’s live show that they had to move it from The Parish over to Emos. This is one of those shows that you will certainly be sorry you missed, as Ted always guarantees a great live show; it’s just the way the guy rolls. He’ll be taking the stage with Screaming Females and Sally Crewe & the Sudden Moves. Make sure to show your support of one of the great American songwriters. Period. Ted will also be playing at End of an Ear @4 PM. 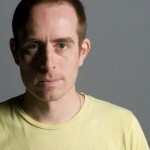 Ted Leo has been around long enough to have amassed a great deal of influences and personal touches on his musical repertoire. Throughout the years he’s tried hard to squeeze all those influences into one cohesive album, to varying results. Finally, The Brutalist Bricks sees Ted meeting expectations, combining influences and flair to create one of his best records to date. His voice opens the album on “The Mighty Sparrow” with his trademark yelp meets croon. You’ll notice that ringing guitar in your ear just before the drums kick into the song. But, like the perfect Ted song, he slows it down in the middle just before a solid drums solo. It’s this kind of classic songwriting that makes his music seem so refreshing and enjoyable listen after listen. Then the group kicks it up a notch with “Mourning in America.” Here is the hard-hitting song that began to surface on Living with the Living, but instead of a non-stop barrage of fury, he tones it down around the 2 minute mark. Somehow, the rockers on this album seem so much more refined, as if he found the perfect recipe for his creations. You’ll find yourself already involved in the album by the time you reach the one-two punch that is “Ativan Eyes” and “Even Heroes Have to Die.” It’s the way that he strikes the chords that grabs at you emotionally in “Ativan Eyes,” but the vocal performance near the end grabs you when he strains to push his notes a bit higher. The latter number is one of the catchiest tunes Ted has written, yet you’ll find it hard to figure out precisely why this is such an incredible song. It seems like any other song he’s done, until you hit that ridiculously poppy hook in the chorus. Some might say that this is a radio-friendly song, but the way he mutes his picking just prior to the “ooooooh, oh well” moment that is the hook makes it distinctively Ted. Even when you hit the seemingly highest point, a place where Leo has occasionally fallen off in the past, The Brutalist Bricks continues to deliver great moment after great moment. “Bottled in Cork” begins with a riotous fury of guitar and commentary of the political sort, but he pulls back and throws in an acoustic moment talking about “the path of least resistance” that carries until the end. He mixes it up further with “One Polaroid a Day,” which is sort of a groovy number fueled by his “chugga-chugga” guitar rocking out (there might even be some sort of harmonics in the background) prior to a mini-solo, then going back into the groove. Be sure not to miss “Bartolomeo and the Buzzing of Bees.” For me, a long time fan, this is probably one of my favorite tracks. The throbbing bass lines provide the backbone, which gives Ted the freedom to maneuver his guitar back and forth throughout the song. This time he seems to relish in some negative space, filling it with feedback, but his vocals feel so warm here, that you just have to fall in love with Ted all over again (if you ever stopped). And then there is the swan song, “Last Days.” It’s the perfect closing statement for The Brutalist Bricks. 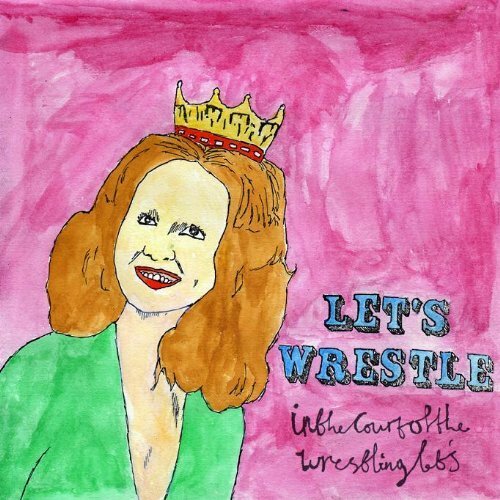 It encapsulates everything about this record, and about Ted Leo. It’s got that twangy guitar sound that is all things Ted, but there are some eruptive blasts throughout, both vocally and musically. It shows you that he finally found the formula that allows him to put the tenacity and vigor of his live shows into his music without going too far on record. 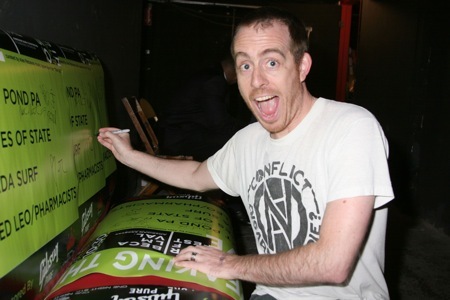 It makes for a perfect personal statement for Ted Leo and should push the band further into the hearts of listeners. If you’ve been following the life of John Davis, then chances are you’ve enjoyed a great deal of music. He made waves with his role as the drummer in Q and Not U, then jumped into the pop world with Georgie James. 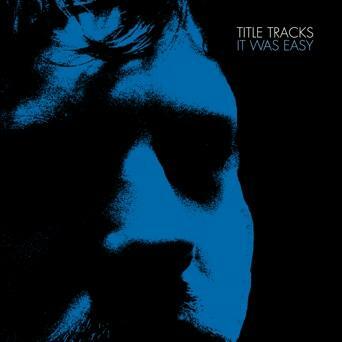 Now, he’s playing under the name Title Tracks, which brings in some new sensibilities on It Was Easy. 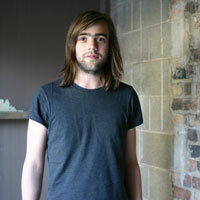 You’ll find traces of his work in both previous bands on the album, but you’ll also see a new direction coming through. As it all begins, you get “Every Little Bit Hurts,” which definitely has one foot in Georgie James, yet you can feel the ghost of Ted Leo (or his spirit, since he’s not dead, thank God) making his presence known. The guitar sounds are similar, and the drumming is spectacular (done by John himself). Why we know that Ted uses The Jam and Nick Lowe as reference points, you can see John go straight to Ted; just look at the way he tries to hit that falsetto note near the end of the track. And so he slows it down to a little dub-step number with “No, Girl.” Here yo see the pop sensibility of Georgie James coming through. If it weren’t for the reggae-ish guitar, then it might very well be one of the leftover demos from his old group. This isn’t a knock on the man, as GJ surely had some great elements across Cake Parade. This is one of the most important notes from It Was Easy. A lot of these songs wear the mark of Georgie James, and to be honest, a lot of the sonic exploration Q and Not U did with their last album Power. John clearly isn’t staying in once place, which might be one of the reasons that this album just doesn’t blow you out of the water; you can see his next release being something ridiculously good. One of the treats for me was listening to “Tougher Than the Rest,” a number which features my favorite Tracyanne Campbell. Her voice is simply to wonderful to be ignored completely, yet it once again brings about the idea that John hasn’t fully left the ideas behind from the whole Georgie James affair. Still, they lyrics are really heartfelt, and it’s precisely the thing you expect Tracyanne to be singing. You’ll want to listen to “It Was Easy” and “At Fifteen” as these are two of the songs which really show you that John is trying to step out of the shadow of his past. “At Fifteen” is one of those sleeper tracks that I can see being one of my favorites. It’s nothing more than guitar and whispering vocals; it’s just the sort of think I adore. Closing out It Was Easy is a cover of The Byrds “She Don’t Care About Time,” just one more signal to the abundance of influences for John Davis. Title Tracks have made a good start, but the one thing lacking is just a bit more cohesiveness all over. Sure, the record is full of great songs and great influences (I’m looking at you Ted), but you can see a bright future in store for John Davis once he tightens the reins and kicks into gear. 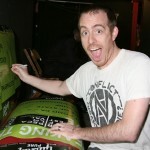 How I love thee Ted Leo. Luckily for me, and all you like-minded fans, Ted Leo will be bringing us a new album on March 9th titled The Brutalist Bricks, his first album for Matador Records. We’ve gotten to hear the new single, and it’s everything you’d expect from a Leo-penned tune. 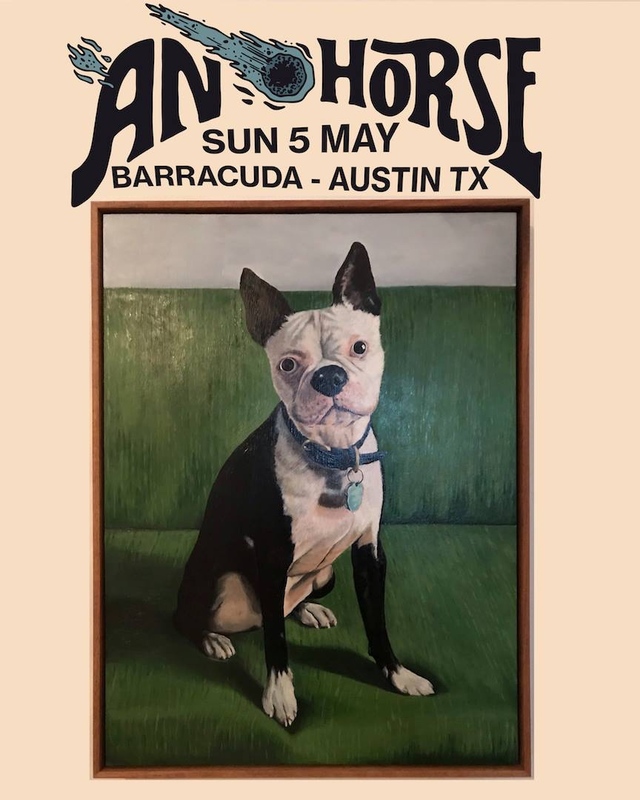 The man’s no stranger to power-pop, nor classic pub-rock, and you’ll find hints of each in the workings of this new tune. Hope you dig it like I do. After being underwhelmed (and I’m the only one) by Them Crooked Vultures, I began to look ahead to the Supergroups that I would create. Sure, this is all conjecture, and some are jaded by my own personal tastes and connections. It’s an interesting topic. Who is your favorite musician, and who would you like to see them playing with? Make your own supergroup, and tell me about it. While I wait, I’ll throw out mine. And, I apologize for my lack of originality in naming bands.